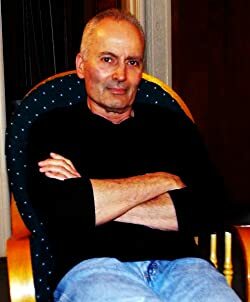 Born and raised in Warren, Ohio, I write adventure fiction and have Twenty-five of my novels offered for Amazon Kindle. I have four continuing series offerings - Hard Case 1 - 5, Cold Blooded 1-3, Rick Cantelli, P.I. 1 - 3, and the New Adult paranormal series Demon 1 - 3, all with RJ Parker Publishing Inc, the latest was released on February 14, 2015, Hard Case Book V: Blood and Fear. I served aboard the USS Ranger (CVA61) from 1969 until November of 1972. I earned an AA degree in Auto Technology from Chabot College in Hayward, CA, and a BA degree in English from Cal State Hayward. My hobbies are basketball, backpacking, and scuba diving. My favorite dive spot is Point Lobos near Pacific Grove, CA. Please enter your email address and click the Follow button to follow Bernard Lee DeLeo!